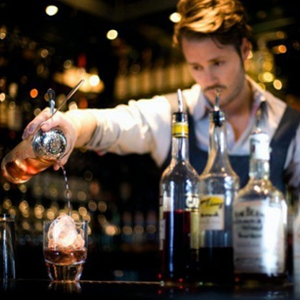 Hyde & Seek Gastro Bar is your regular masculine spot for drinks, with a Manhattan twist. It evokes 1960's New York (indeed, there is a drink called 'Modern Mad Men') but don't let the idea of a theme throw you off—everything here is subtle and sleek. Drinks are created by famous Bangkok mixologists of Flow fame while an inventive menu comes from Chef Ian Kittichai and Peter Pitakwong: Think Ribs & Chocolate and Ginger Ale Fried Calamari. Little known fact: This crowd pleasing night spot also serves a great lunch/brunch menu. You know, for when you need a martini between meetings. From Ploen Chit BTS Station, walk or taxi to Soi Rumrudee. Hyde and Seek is near the Soi's entrance, at Athenee Residences. Hyde and Seek turns 2!